A train at Nambour station. The Sunshine Coast line is one of eight that would fail to make the on-time running benchmark it if included incidents outside of QR’s control, such as boom gate strikes. QUEENSLAND Rail's dazzling punctuality record has been undermined by new analysis showing the reality is far different for commuters on certain trouble lines. 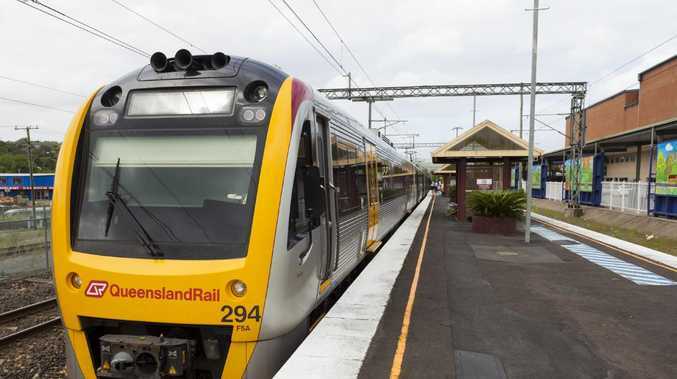 Commuters on the Caboolture and Redcliffe lines are most likely to experience their trains running behind schedule, according to analysis by commuter group Rail Back on Track. It reveals that while QR boasts of hitting its network-wide target of running more than 95 per cent of trains on-time, the picture is far less perfect for thousands of commuters. 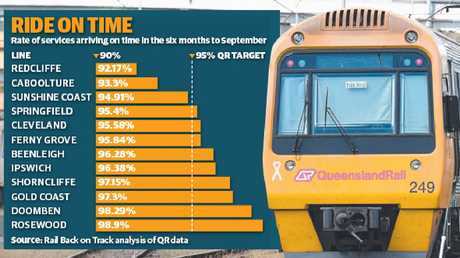 QR punctuality rates in the six months to September. The Caboolture and Redcliffe lines were worst for trains turning up late; failing to hit QR's performance target every month between April and the end of September. The analysis used QR daily on-time peak running results for each of the 12 rail lines to chart punctuality averages across the network. It shows the lines consistently underperformed, with 92 per cent of trains running to schedule on the Redcliffe Peninsula line, which opened in late 2016. And 93 per cent of trains were on time on the Caboolture line during the six months examined. Low points included last June, when just 91 per cent of Redcliffe services were on-time. Yet QR posted an overall network-wide on-time running result of 96.89 per cent that month. The results were even worse when including force majeure incidents outside of QR's control, such as boom gate strikes. 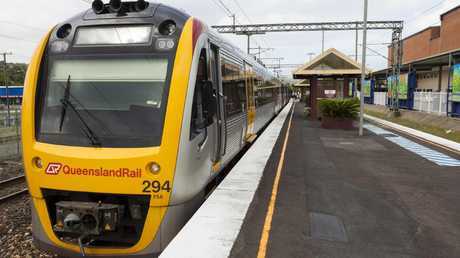 The analysis reveals eight lines would fail to make the on-time running benchmark when including such incidents - the Beenleigh, Caboolture, Cleveland, Ferny Grove, Ipswich, Redcliffe, Springfield and Sunshine Coast lines. QR counts trains that arrive within four minutes of the schedule as "on-time." It exceeded its on-time target in 2017-18. But Rail Back on Track lobby group spokesman Robert Dow said the analysis belied the rosy picture of punctuality, with the results skewed by high punctuality on lines that ran far fewer services. "QR report aggregate figures, which are misleading and don't really tell the public what is going on," Mr Dow said. "You need to look at a line-by-line break down to see what is really happening," he said. "It shows our newest line (Redcliffe) is the most unreliable and we do have problems with network reliability." QR chief executive Nick Easy yesterday said it was committed to providing reliable services and would continue to work hard to improve performance across all lines.